Men and women, although created to co-exist, will always have different approaches in life. But these differences are not meant to separate them. Instead, it is meant to complement their individuality so they can live in harmony with each other. Even with financial planning, men and women have varying approaches. Some people say that men are better with money than women while others would say that it is the other way around. Although there should be no competition, it is important for couples to understand why they think differently. If you are to be harmonious in all household financial decisions, you have to understand where each is coming from. In most cases, couples fight with each other because they failed to respect the opinions of the other. While we naturally want to have our way, that is not how you have a healthy relationship. You need to hear out what the other has to say and understand why their opinions are crafted that way. It will help you arrive at a consensus that will make both of you happy. You do not want to silence the other because, although willing, that can eventually cause a strain in the relationship. That being said, let us discuss the influences that could be affecting the financial planning strategies of men and women. There are three important factors affecting their differences. In the point of view of society, men and women have different roles. Men are the designated providers while women are the nurturers. Although we hear of women blazing through male dominated industries and men opting to stay at home to care for the kids, these roles will always be present. It is not because we choose to be boxed in. Women are naturally more caring with the family and men are wired to take the lead. The roles may be switched in certain families but there are instances when they assume their original characters. This is a major influence that can affect the financial planning habits of women. Being the nurturers, women will be more inclined to prioritize the financial needs of their families at present. Men will be more inclined to prepare for the future as providers. The different emotional conditions of both roles will lead them to do this. Women still earn lower than men. The first influence explains our second point about gender inequality when it comes to salaries. According to a research done by PEWResearch.org, the gender pay gap, although it is narrowing, is still evident. Based on the survey results, this is caused by the fact that women are more likely to have career interruptions for the sake of the family. The research revealed that this impacts the long term earning potential of women. The data revealed that 39% of women will take longer periods from work or 42% will cut back on their hours at work in order to care for a family member – in most cases, their children. 27% of women will go as far as to give up their career for this. For men, only 24% take a long time from work to do the same task. With this, you can understand why some business owners, despite the apparent talent that women have been displaying, will really prefer to employ men over women. According to WhiteHouse.gov, despite the Equal Pay Act of 1963, a lot of full-time female workers earn 77% of what their male counterparts do. Although the dedication of both men and women to their jobs may be the same, it is still evident that when given a choice, it is usually the women who will agree to give up their careers for their family. This lower earning directly affects how women implement their financial planning strategies. If they earn less, they have limited choices as to where they will put their income. They are more likely to prioritize present needs and this is why men are ahead when it comes to retirement planning. Men and women have varying strengths. The last influence that affects how different genders do their financial plans is the fact that they have varying strengths. Given their roles, it is natural for them to develop different strengths. According to CreditCards.com, men view themselves are better negotiators while women perceive themselves as the better spender. The article went as far as to say that when negotiations are in order, men should take the reins. But when difficult decisions have to be made, women should take the lead. This assumption is based on the survey done by Ipsos MediaCT for FleishmanHillard and Hearst Magazines. Men and women were asked to rate financial abilities based on common life situations. For instance, women think that they are better at lead the household while men think that they are equally able to lead. Women also feel that they fare better when having difficult conversations while men, again, think that they are equal with women. 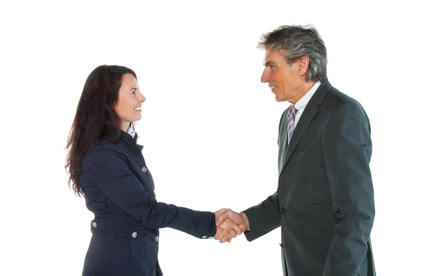 When it comes to being an assertive negotiator, both genders think that men are better at it. Women also feel that men are much better when it comes to asking for salaries. These will give you a glimpse of the financial behavior of every gender. It plays an important role in defining how each of them will approach financial planning. Whether one is better than the other is yet to be determined. But regardless of how it all ends up, a household needs the input of both. If men and women learn how to complement each other’s strengths in decision-making, then you know that they will have a strong financial team. In the end, it does not matter who leads or follows. It is vital in a relationship that they learn how to make decisions together. Here are 5 steps that will help couples deal with financial planning as a team. Assess the current financial situation. This is where honesty will play a big role. Both of you should lay on the table any debt, financial obligation and the truthful salaries that you have. You need to combine your resources – at least if you want to work on your credit problems together. This is how couples stay strong despite financial difficulties and get started on their common financial goals. Decide on your financial future. The next thing that you want to do, after defining your assets and liabilities is to decide on the type of lifestyle that you want to have. Of course, we are talking about the future. You can focus on your retirement since this is the most common financial plan that you have to create. Or you can decide on the type of life that you want to have in the next 5 or 10 years. Create a plan. Once you have determined the type of life you want to live, you can now map out an actual plan that you can follow to reach that dream life. There are many financial plans that you can use to help you manage your money to lead you towards your goals. Make sure that your plans are realistic and detailed – not some vague list that will not give you specific directions to help with future financial decisions. Implement the plan. Once you have your plan, whether it is a budget plan, debt payment plan or retirement plan, your next step is to implement it in your life. This is quite important because you may spend a lot of time creating your plans but if you fail to implement it properly, it will be for nothing. Monitor your progress. The thing about financial planning is it will be a never ending process. As you age, your goals and priorities will change too. That means your financial goals in the past may not apply at present any longer. This is why it is very important that you monitor your progress regularly. It will help you determine if your plans are still aligned to your goals or you need to make some changes to it. For instance, you need to conduct a retirement plan check up to ensure that you will reach your target amount. You might be able to contribute more or less – depending on the changes that happened to your financial situation.